I had done the same thing last year and knew there were 45 cookies in a package. Three rows of 15 cookies. Since his team has 14 players, I knew I’d have a enough to give each kid 3 cookies … and even have 3 leftover for me! After giving 3 cookies to the first 13 players, I ran out. I had a 7 year-old smiling up at me with his hand out, and nothing to give him. I’m looking down into the bag, digging around with my hands. Nothing. All the other kids were already munching their cookies down, so it was too late to re-divvy. Momentary panic was staved off by a nearby snack bar. Kid #14 got an ice cream bar for his wait. But I was still confused. Had I miscounted? Did I give out too many cookies? So I looked on the back of the package. It read: Serving size 3 cookies. Servings per package 13. I was positive there had been 45 cookies in the package the year before. So, I did a little research. And what I discovered turned my confusion into anger. It turns out I was right. A standard sized Oreo cookie package has always had three rows of 15 cookies, for 45 total in the package. This year, however, they reduced the package size to 39 cookies. They were selling these smaller packages for the exact same price as last year! Six less cookies. Same price. The expert who teaches that lesson calls this “hidden inflation” and … he says it’s an early warning signal you need to pay attention to. It turns out manufacturers have used this sneaky little trick for decades. Especially in the food industry. Candy bar makers are famous for shrinking the size of their product. As the costs of raw materials go up, manufacturers have three choices. Since they don’t want to lose profits, and raising prices can drive customers away, they usually choose #3. Reduce product size (but don’t lower the price). We looked at the price of Oreos going back to 1970, and found they’ve been fooling consumers with this trick for at least 40 years now. One year they decrease the package size, but keep the price the same. The next year, they restore the larger package size, but also with a considerable price increase. This step-ladder approach to raising prices has taken the price per pound of Oreo cookies from $0.48 per pound in 1970 to $5.52 per pound in 2012 (using MSRP). That’s a 1050% price increase in 42 years. But that set off a new alarm. See, according to the US government Consumer Price Index (CPI), inflation has only increased 499% during that same time. This is clear evidence the government is under-reporting the true inflation rate. The top black line is the real price of Oreos. The bottom gray line is the US government’s idea of how much inflation has occurred. According to the government, Oreos should only cost $2.88 per pound today. They really cost over $5. See how close the two lines are together on the far left side of the graph? That means that back in the 1970’s the government inflation rate was actually pretty accurate. Look how the “gap” between the two lines starts to increase after 1980. And notice how much the real price has shot up in just the last few years. The government data (bottom line) makes it look like inflation has leveled off since 2010. The Oreo line shows that REAL Inflation is not only increasing, it’s accelerating. The Oreo cookie inflation data is alarming, but let’s face it. 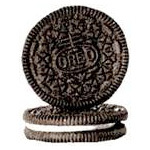 Oreo’s don’t make a very large portion of anyone’s personal budget. So we took a look at other consumer goods. Things like bread, milk, sugar, gasoline and a dozen other common items people use every day. The results were stunningly similar. And several items showed far more “real” inflation than even the Oreo cookie example. The conclusion? Higher inflation is already here … and it’s only going to get worse. So … Why Is Any of This Important? Once you see the signs of inflation, even if it is hidden, it tells you to make preparations. Once inflation hits in visible form, panic will set in. Right now, the US government says inflation is at 2.65%. We know it’s really much higher, but the general public isn’t too concerned since the government number is so low. But … the government can’t hide true inflation forever. Once they start reporting 10%, 15% … or 20+% inflation, the public will panic. Stock markets will stumble. Financial stability will crumble. And an economic disaster worse than 2008 will be upon us. Here’s what’s scary. It will come upon us much faster than most realize. The thing about inflation is that it comes out of nowhere and hits you. It’s like sailing. You’re gliding along, passing the peninsula, and you come about. Nothing. Then the wind fills the sail so fast it knocks you into the sea. Right now, the U.S. is a sailboat that has just made open water, and has already come about. That wind is coming. The sailor just doesn’t know it. “Sudden” has happened to us before. In World War I, inflation went from1% for 1915 to 7% in 1916 to 17% in 1917. To returning vets, that felt awful sudden. Now is the time to take advantage of inflation-hedged investments. By the time government-reported inflation hits double digits, it will be too late. Elevation Group members have access to 5 different ways to protect themselves from the coming inflation. These strategies aren’t just about “getting by.” They’ll help you to really prosper … and even become incredibly wealthy in the process. Just one of those strategies has returned 363% since 2008 (and it’s not gold, stocks or real estate). Once inflation hits, this investment is poised to possibly double or triple that return. With your membership, you’ll also gain instant access to 14 other “black-box” investment strategies the ultra-rich are using right now to protect and grow their wealth. There’s a free presentation that explains exactly how The Elevation Group can help you take control of your own financial future.